October is breast cancer awareness month – so we’d like to review some coding basics pertaining to breast cancer. This webinar covers diagnosis coding, what the various breast cancer diagnoses mean and includes procedure coding – the various procedures that a woman with breast cancer might under go. AHIMA and AAPC CEU available. 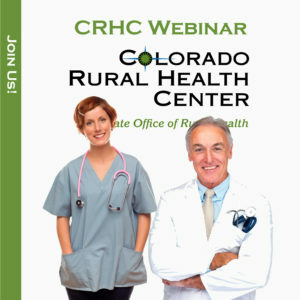 This webinar series is free to Colorado hospitals and clinics participating in the current SHIP grant program as well as CRHC members. Please use the “register now” button, below, to register. All other facilities must go to the CRHC website to register and prepay. (otherwise you will be billed) If you don’t know if your hospital is in the SHIP program or if you don’t know if your facility is a CRHC Member, please ask. We don’t want you to miss out on this valuable education.